← Land of milk and honey? Seeds planted in soil blocks! (Prior to a light covering so you can actually see the seeds nestled in the dimples of the soil blocks.) 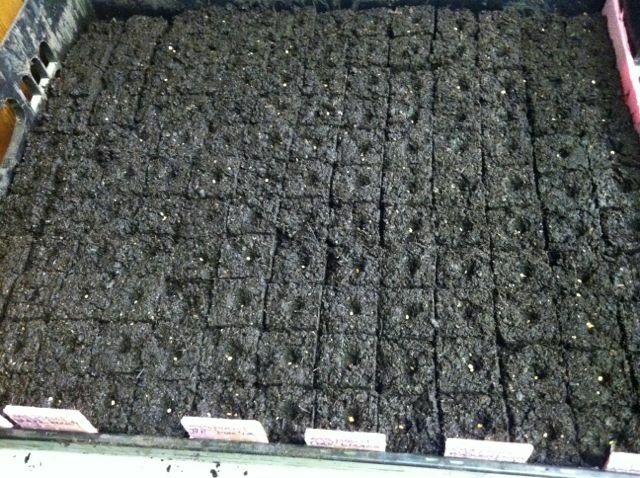 Some seeds will be seedlings ready for planting in 3-4 weeks such as kale, chard and cabbages. Others such as tomatoes, eggplant and peppers will be ready for planting in 10 weeks. I began soil blocking last year upon reading Elliot Coleman’s endorsements. I am very pleased with the soil medium prepared by Mark Moxley at Lake Street Landscaping and Supply. Mark has been perfecting a formula for soil blocking this winter, and it’s been my pleasure to work with him on this project. It’s superb! 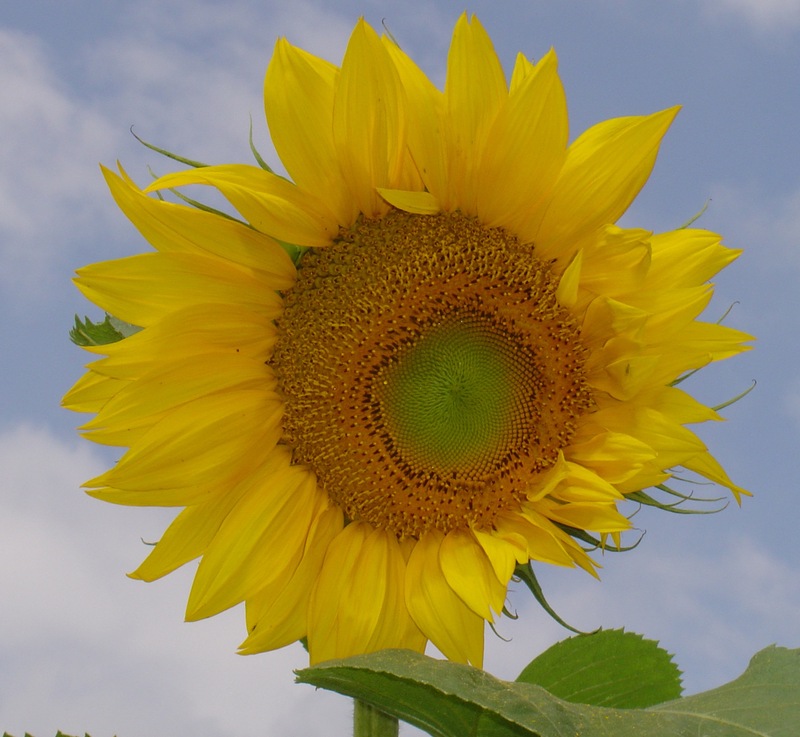 It holds the integrity of the soil blocks well and retains moisture without becoming rigid. (This is a delicate balance because the soil block must maintain its shape for seeds but, once planted, must meld right into the ground so the plant’s roots can expand and grow.) And it’s a great growing medium too so the seeds are sprouting quickly and flourishing. Can’t recommend Mark’s products too highly. 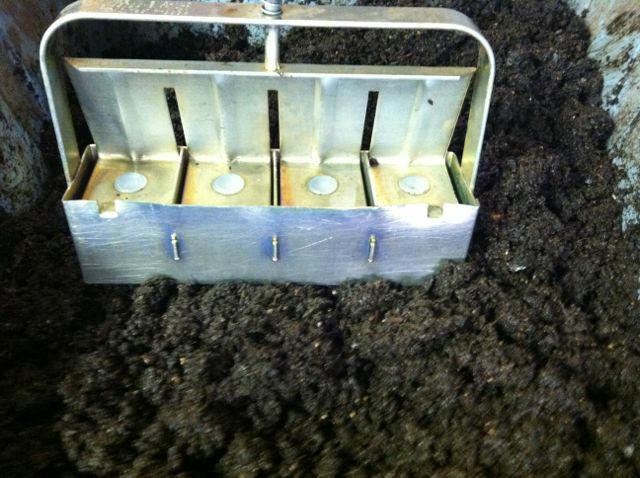 Here is a photo with the rich soil medium Mark created and the soil block press in action. This entry was posted in seed starting, soil blocking. Bookmark the permalink.